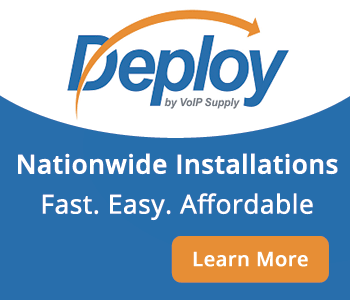 VoIP Supply offers you over 250 different VoIP gateways. Choice is great. But how do you figure out which VoIP gateway is best for you when there are over 250 different models to choose from? Right now it might seem like a difficult task. Thankfully a little time and some sound advice will make selecting the right VoIP gateway simple and easy for you. The following selection process is simple. It is based on a series of questions that once answered will point you towards the right VoIP gateway. You can't even consider looking at which VoIP gateway to buy until you have decided on exactly what you want to do. There are numerous uses for each of the different types of VoIP gateways. Make sure you know what you want to do first. In order for your VoIP gateway to work with the other components of your systems you need to know which protocols and codecs are supported. Then you need to ensure that your VoIP gateway also supports these. Budget should never be the most important part of your purchasing decision, but the cost of a VoIP gateway varies greatly. Having a set budget before you select your VoIP gateway will ensure that you don't over – or under – spend. Can you configure and install a VoIP gateway by yourself? You read earlier that VoIP gateways have a high return rate. This is because most people don't know what they are doing. At least when it comes to configuring and installing a VoIP gateway. Before you pull out your wallet consider having a professional do it for you. What's the warranty period and support like? With any piece of VoIP equipment it is important to know the warranty period. Equipment breaks. Make sure you're covered. It is also not uncommon for you to have questions or possibly need assistance. You should check out the company you are purchasing from to make sure they can offer quality support before buying from them. Now you will want to take some time to answer these questions. The answers are very important to a successful VoIP gateway deployment. If you're feeling unsure as to what to do once you have those answers (or what the answers mean) don't stress.